Twitter isn’t for everyone. But maybe it’s for you, and you just don’t know it yet. It may be hard to see what value you can get from 140 characters competing in a sea of incomprehensible tweets such as “RT @SuperBlogDude, yo!” and yawners like “I’m at Denny’s.” I was just as skeptical, not that long ago. If you’re looking for a shortcut to sales, Twitter isn’t it (though there are exceptions). But I now swear by it. Mirroring my own experience, here’s why you may want to keep your mind open to Twitter. 1. It’s a great platform for customer service. A couple of years ago, I was ambivalent about Twitter. Then I read a case study about a company few people knew about. Zappos, an online shoe seller, had racked up a billion dollars in annual sales. They had created a reputation – among people who buy lots of shoes – for service that surpassed even Nordstrom. Zappos’ main brand-building tool: Twitter. They used Twitter mainly for customer service. It helped them be so responsive and so transparent, they created a business case that will be studied for years. The Zappos case proves there’s more to Twitter than you can tell from the 140-character entries. 2. It opens up an entire new world of information. I wanted to learn about newer marketing techniques. Twitter was like getting a college degree on an accelerated schedule. It helped me identify experts in the field, follow them, and get quick notification of their newest blog posts. I learned what they are talking about and doing, and where to turn for answers. On Twitter, you can find fresh, leading-edge information, often from unusual yet authoritative sources. 3. Twitter tears down physical barriers to meeting people. In my old life as an ad agency creative, I met and worked with some impressive individuals. But it took years to build up my Rolodex. (You kids under 30, look that up.) With Twitter, I connected and interacted with leaders in digital/social and social marketing in a matter of weeks. I now communicate regularly with smart folks on every continent. Ideas know no boundaries. Business opportunities know very few. 4. Meet people locally. An unexpected benefit, to me, is how many people I’ve connected with right here in my own town, Spokane. Pretty valuable to someone who hasn’t lived here all that long. Combine Twitter with your in-person networking strategy. Locate people locally, engage them, and create strategic relationships. 5. Twitter gently encourages you to take positive business action. I’ve never been the world’s best self-starter, but Twitter has made me better. Twitter forces you to prove your worth. You’ll have to provide good content yourself – or you can organize and curate other people’s content. You learn to focus and strengthen your message, and how to interact effectively. The fact that people are just one click away from you and your business encourages you to get your business in order. It shows you how you stack up against competition, locally and globally. There’s no hiding behind your Twitter handle. 6. Twitter helps you research almost anything. Twitter’s search function helps you learn about people, products, companies and more. You don’t even need a Twitter account to us Twitter Search. It’s a great resource. It’s especially useful for real-time trends and information. Monitor your competition, or your foreign counterparts. 7. Get quick, candid feedback. Be direct and ask your followers about anything. Or target specific users, whether they follow you or not. I use Twitter to ask questions to people I want to emulate, do business with, who have specific expertise, or those I just plain admire. Amazingly, they usually answer. 8. Establish credibility and expertise. Respond to comments, especially on your specialty topics. Answer questions. Ask great questions in return. Start conversations. Expand your influence. Twitter is great for conversation. It’s why they call it “social” media. The 140-character limit imposes discipline, and lets you drive traffic to your site. 9. Promote your promotions. You have a white paper, a video, a free software application, a contest, a great blog post, a limited-time low price? Tweet it. Add a Twitter sharing button to your online communications. See them go viral. If you develop the right community, and offer the right value, Twitter can drive traffic to your website or your storefront. Twitter is a gateway drug to other social media. It’s a good source of traffic to my blog. And with a Twitter “share button” on my blog, the reverse is true as well. 10. Google likes Twitter. I just Googled my name. The third item comes from my Twitter account. And it’s current. 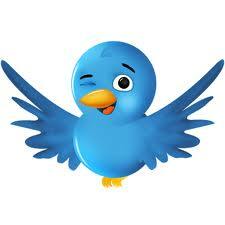 Twitter is a fast way to improve your search engine rank. People do business with people they know, like and trust. Twitter is a tool for letting people know, like and trust you. What you do with it is up to you. Give twitter a chance to help your business. Even if it’s not your bag, you’ll learn if and where it belongs in your marketing plan. What are your thoughts, questions, reservations, or personal experiences with Twitter? This entry was posted in Communication strategy, Inbound marketing, Social media for business and tagged Business uses for Twitter, Twitter for business by barrett. Bookmark the permalink. Barrett, This kind of post is helpful to someone like me, who maybe trying to help clients see the value from a different perspective. So it’s something I’ll share that’s more about those potential clients and readers than current ones, but it all works. I like the gateway drug line.. I’ve read about how Twitter and some of the social media fun are like the world’s cheapest crack. True. SEO is always nice. Will disagree with 11. TEHO and different strokes but IMHO there is a wrong way to use Twitter.. it’s just that what’s wrong or right for me may not be the same for you or others. Which is ok, as I know where the ‘block’ and ‘unfollow’ and ‘report spam’ buttons live. FWIW. I’m glad you liked 1-10 though! And I’m glad this post may be helpful. Please come back and comment often! Oh, there are others who’ll agree with you Barrett, and I’m somewhat hypocritical in that I don’t want others telling me how to use Twitter but then I’ll turn around and label some things as ‘wrong.’ Some people thank for RTs, some do it via DM, others have too many; some have very open follow strategies, some of us block and are more selective. Many of different ways to use it, and I know my style is changing. I wish that I had more time for just chatting, that I had more to share than just ‘links’ but then.. I like the discussion in the blogs. Everyone will do it differently, MMV. There are legitimate differences of opinion on proper Twitter etiquette, and that’s understandable. But misrepresenting your identity or your intentions is inexcusable. Both happen quite a bit. And, there are those whose only intent is to sell. But unless you identify your account as a selling mechanism (like Dell does, or Woot! ), you’re not going win many friends. Of course, there’s abuse in every channel of communication. There are finer points of how to get the most out of Twitter, who to follow or not follow, etc. Those things take a little time to work out. I have a strategy for who to follow, but I’m still not 100% sure who to follow back! #11…well, I figured out within a day that there is definitely a wrong way to use Twitter. (Read @AskAaronLee’s post today for an example.) But I started asking questions and reading posts from TweetSmarter, so I picked up the etiquette quickly. The real challenge was changing from a lurker to a true participant in conversations. (I read Mark Schafer’s The Tao of Twitter to really learn that skill.) Overall, I think Twitter is an amazing way to connect with people, for the reasons you described. Well done. Thank you, Marianne! I first tried Twitter a few years ago and I didn’t get it – like a lot of folks. When I picked it up again a few months ago (about the same time you did), it came together for me. Maybe that’s because Twitter has come into its own. But boy, do I get irritated by the spammy nature of a lot of it. Yeah, there are a LOT of wrong ways. But that’s a whole other post, isn’t it? Well Marianne, I just added “CommentLuv.” Thanks to you! Twitter has been a fantastic resource that has led to real life friendships and business opportunities that have converted into sales. I find it fascinating to see what sort of access you gain to people that you might not otherwise engage with. The comments and interaction make it invaluable. It is a big cocktail party that offers so many good opportunities. In a very short period of time I’ve established friendships with people from all over the world, and have had the opportunity to exercise my internal author in ways that I never expected. Very liberating: very rewarding. Twitter to me is almost like a news source, great for quick updates on what someone or a company is doing. Will serve as good reference for those just beginning to integrate Twitter into their professional lives. I’ve been active for quite some time, and still find it fascinating how it’s opened up opportunities to connect in ways that were never before possible – yielding both strong relationship and financial value for our organization. Eric, thanks so much for visiting. I agree whole-heartedly. Since I started using Twitter, nothing but good things have happened on a professional level. Now I’m hoping to unleash this power for some particular clients. Hi Barrett! I am with you, Davina and Marianne on the Twittiquette thing…but I’d add my $0.02 about a wrong way to use. Twitter isn’t a push marketing channel, despite those who’re using it as such. It really seems to me best thought of as one prolonged flowing-in-time “comments kitchen” – and folks turn off from those who use comments as thinly disguised self-promotion. Absolutely, Lori. “Push” is the right word to describe the wrong behavior. I think you CAN promote yourself on Twitter, but mostly through offering people help or insight in your area of expertise. The same behavior that would be pushy and inappropriate at a dinner party would be inappropriate on Twitter. As you say, having such a small amount of space to say what you want to does make you more disciplined. It’s quite a good writing exercize for that reason. And that 140 character is great for one liners, which is why some standup comics have really taken to it. Denis Leary is a perfect example. He pretty much uses it only to crank out gags. Thanks Matt. Comedians and Twitter — it makes perfect sense. I agree with you that the fact that people are just one click away from you and your business encourages you to get your business in order. It shows you how you stack up against competition, locally and globally. There’s no hiding behind your Twitter handle. Felve, thanks for visiting. I agree, if you know people are coming for a visit you definitely have to clean up your pad. At least that’s how it works at our house.